Michael Riesman, the multi-talented composer, conductor, keyboardist, and record producer, has influenced many of today’s greatest talents as the innovative musical director of the world-renowned Philip Glass Ensemble. Riesman has had a long-lived collaborative relationship with Philip Glass. Indeed, when Glass received his Golden Globe Award in 1999 for The Truman Show score, he publicly proclaimed Riesman "a genius." Riesman has been playing keyboards in the Philip Glass Ensemble since 1974, and has served as its Musical Director since 1976. In addition to conducting the Oscar nominated scores Notes On A Scandal, The Truman Show, and Martin Scorsese’s Kundun, he is the conductor of the revolutionary Einstein on the Beach (both recordings), Glassworks, The Photographer, Songs From Liquid Days, Dance Pieces, The Illusionist, Hamburger Hill, Music in 12 Parts (all three recordings), Passages, Koyaanisqatsi (both recordings), Mishima, Powaqqatsi, The Thin Blue Line, Anima Mundi, The Secret Agent, A Brief History of Time, La Belle et La Bête, Candyman, , Naqoyqatsi, Taking Lives, Secret Window, and numerous other soundtracks and albums. Riesman was the pianist on the Oscar-nominated score for The Hours, and has also released an album of his arrangement of that music for solo piano. 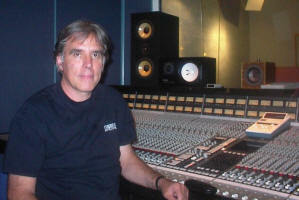 In addition to his work with the Philip Glass Ensemble, Riesman has also conducted and performed on albums by Paul Simon (Hearts and Bones), Scott Johnson (Patty Hearst), Mike Oldfield (Platinum), Ray Manzarek (Carmina Burana), David Bowie (BlackTie/White Noise), and Gavin Bryars (Jesus' Blood Never Failed Me Yet). Along with interpreting the music of others, Riesman also finds time to create original works. He has released an album, Formal Abandon, which he wrote, produced and performed entirely, on the Rizzoli label, which originated from a commission by choreographer Lucinda Childs. In the theater, he collaborated with Robert Wilson on Edison (presented in New York, Paris, and Milan). His film scores include Enormous Changes at the Last Minute, Pleasantville (1976), and Christian Blackwood's Signed: Lino Brocka.